The St Helier Estate was built by the London County Council in the early 1930s. At 825 acres, spanning the boundary of Morden and Carshalton, it is the second largest of the Council’s cottage estates. The council architect, G Topham Forrest, included as many of the natural aspects as possible in the design plan, such as trees and hedges. This was supplemented with new planting, shrubberies and greens to soften the effect. The estate was constructed by C J Wills and Sons on a value-cost contract. 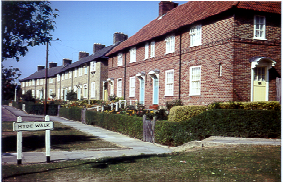 Monotony was avoided by the use of a variety of materials, such as slate, colours of roof tiles, and bricks. The design incorporates gables, different porches, as well as door canopies and brackets, which had a pleasing effect. The estate was named after the Lady St Helier, who had served on the London County Council as alderman continuously from 1910, and was noted for her good works to the poor. As Morden was once in the possession of the Abbey of Westminster, the roads were named after monasteries in England and Wales, and five in Scotland. 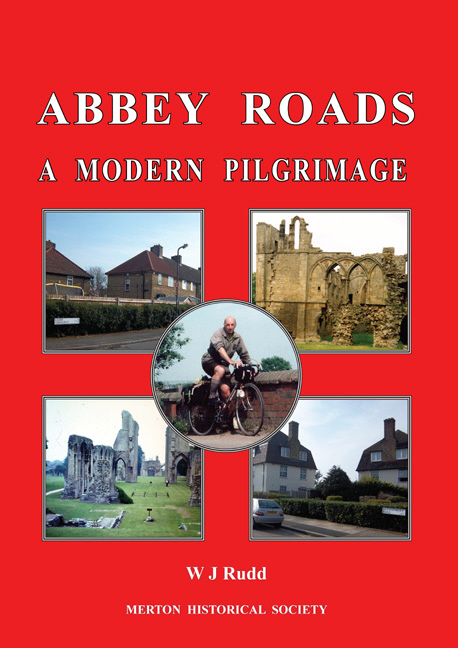 Read Bill Rudd’s account of his ‘pilgrimage’ to all these monastic sites.